I just mentioned that A and I rarely have dessert when we go out. Well, after grabbing lunch/dinner at The Mayflower, we decided to have ice cream. 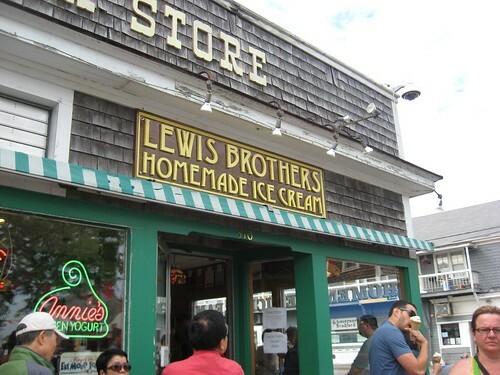 Lewis Brothers is well known for its ice cream in P-town. Before the wedding, we had purchased a few pints for the pre-wedding BBQ. 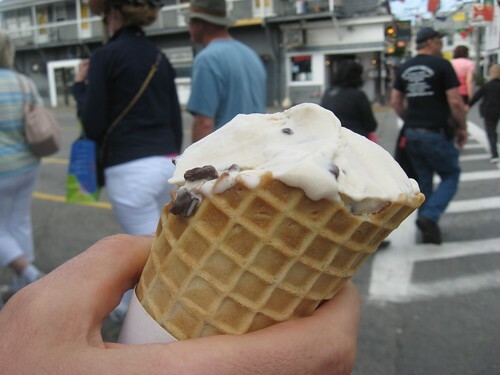 I found out that my new brother-in-law D's favourite flavour is mudslide chip. 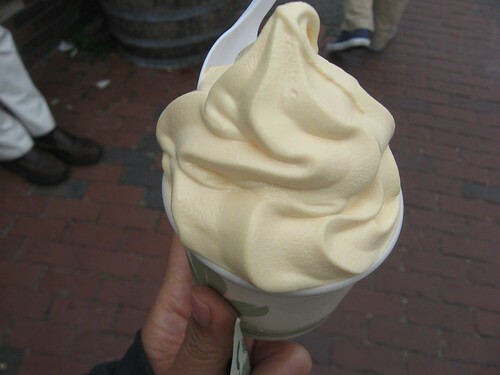 I always enjoy soft serve ice cream so decide to have a peach flavoured soft serve yogurt. I really liked the mild peach flavour. Unfortunately, I reached my full capacity early and couldn't finish my frozen yogurt. My boyfriend A was happy to oblige. A decided to get the mudslide chip, which consisted of vodka, kahlua, bailey's and chocolate chips. Geez... what's not to like? A seemed to like it! 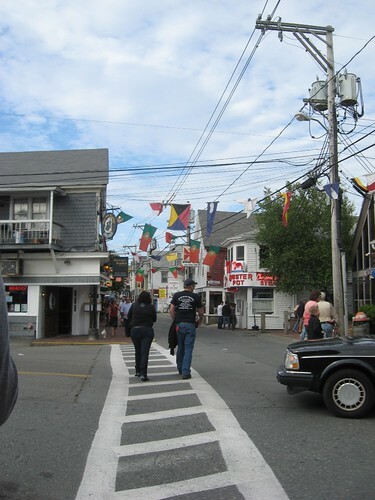 Finally, we took the opportunity to walk around P-town. It's definitely an interesting and eclectic town. 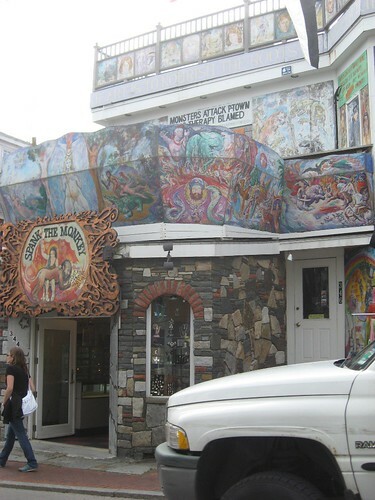 There are interesting stores around that you would find nowhere else. Too bad I didn't have more time to check it out!